They provide a service to others by maintaining and improving oral health. They enjoy a balanced work-family lifestyle. They receive a comfortable income. Last (but not least), dentistry empowers your patients, increasing their self-confidence. These don’t even scratch the surface of how rewarding a dental career can be, but becoming a dentist does require years of schooling and testing. So what’s involved in becoming a dentist? You must graduate from a four-year university before applying to dental school. While not required, it’s recommended to pursue a major in chemistry or biology to help prepare for dental school and your Dental Admission Test. There are even colleges who offer pre-dental programs. It may be worthwhile to pursue those programs because they prepare you for the Dental Admission Test and ensure you meet all requirements to be accepted into dental school. To get into dental school, you must complete and pass the Dental Admission Test. This rigorous test is a major component of your dental school application. It consists of 280 questions covering the natural sciences (chemistry, physics, biology, etc.). Once you’re accepted into dental school, you’ll spend the next four years receiving the training and education you need to become a dentist. It can include coursework and clinical rotations. Depending on where you go, make sure you find a program accredited by the Commission on Dental Accreditation to ensure you can obtain your dental license after graduation. 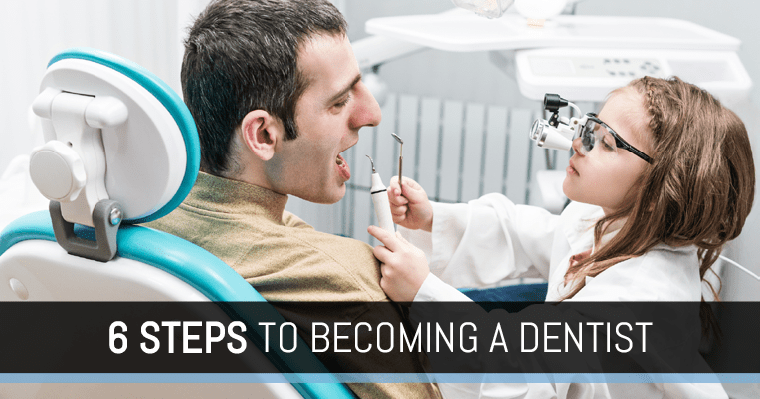 You don’t have to focus on becoming a general dentist. 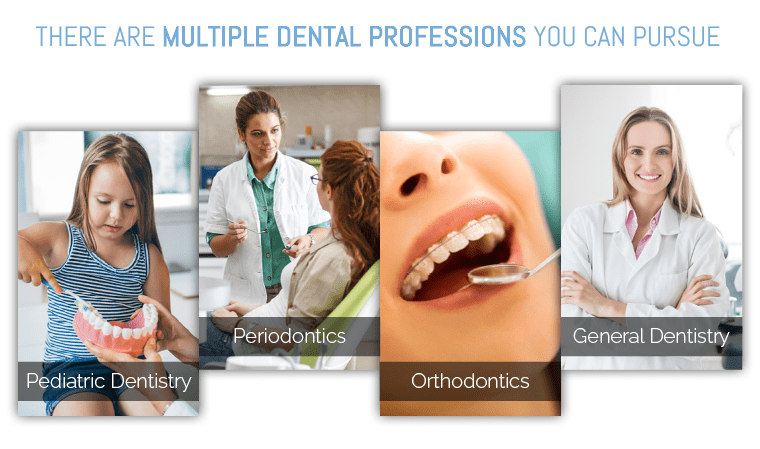 There are many areas of dentistry you can focus on, including orthodontics, periodontics, endodontics, oral surgery, pediatric dentistry, and many others. You graduated from dental school (hooray!). Now you must jump over that final hurdle to officially become a dentist. All dental students must pass a written and clinical exam to obtain a dental license. Topics could range from biomedical sciences, dental anatomy, and ethics to clinical subjects. Step 6: Start your dream job! You did it! After years of schooling and tests, you can finally start helping the public achieve optimum oral health. No matter where you start on your dental journey, just know you’re providing a wonderful service that constantly changes to improve people’s lives. Would you like to know how your dentist became a dentist? Just ask us at your next appointment. Schedule your biannual checkup today.